Twins Geek: Slamming the Door: What's It Worth? Slamming the Door: What's It Worth? You can also find a version of this article in the June issue of GameDay, sold outside of the Metrodome before Twins games. I’m old. 41 likely may not sound very old to some of you, but my back, right knee and left ankle would argue otherwise, and they generally win most debates when they get cranky enough. But even when they remain fairly silent, it’s hard to argue otherwise when you’re older than one of baseball’s most often cited statistics. You see, I’m older than The Save. The Save was defined in 1970, and like most things that came out of the 70s, it’s a little goofy. Some baseball purists would go further than that, considering it the single most evil thing to come out of that decade. That’s no small claim, given that the decade also produced disco and polyester. 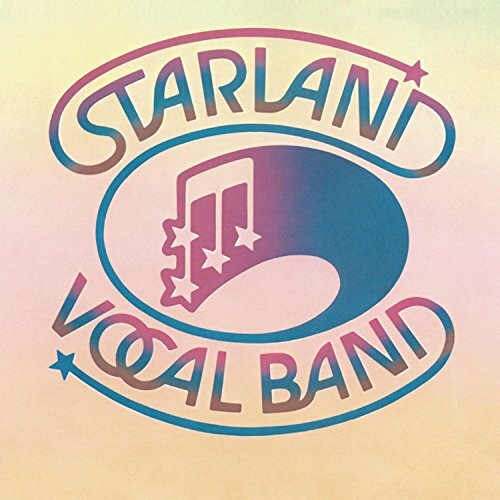 Oh, and Starland Vocal Band’s Afternoon Delight. That’s where the purists’ argument falls apart – they forget about Afternoon Delight. But I digress. The Save is incredibly unpopular with the purists because they believe that it fundamentally changed how bullpens started being used. And they’re probably right. Baseball historians have gone back and tallied the “saves” that players had before 1970, but before that, it wasn’t a formally defined statistic. Once we started counting them and keeping track of them, ballplayers wanted to start getting them. And The Save isn’t something that only occurs naturally in baseball games. It is also created. For instance, a starter needs to be pulled to get a save, since a pitcher can’t get both a win and The Save. (That’s part of the goofy definition of The Save). Also, nobody gets the Save if a different pitcher is brought into a game to get the last out (because a pitcher must pitch at least a half inning to get The Save). Or if a pitcher is leading by four runs in the eighth inning, but gives up a run, he can’t get The Save if he still finishes the game in the ninth. On the other hand, if the manager brings in a closer for the ninth, he can get The Save. You get the idea. The change towards gathering The Save was more gradual than you might think. Throughout the 1970s the number of saves didn’t change too much from what it had been in the 1960s. But a corner was turned in the early 80s, and the result was dramatic. Consider this: prior to 1983 the American League never had a season with 500 saves. And since 1983? They’ve never had a complete season where they didn’t exceed 500 saves. It was like a switch was flipped. And that switch has led to some big changes in the game both on and off the field. On the field, bullpen moves have become more formulaic. 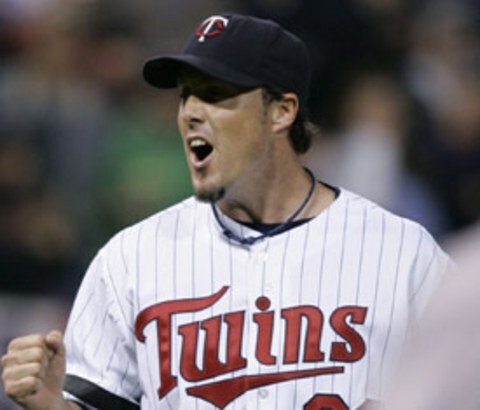 If the Twins are leading a game by three runs in the ninth, who is going to be on the mound? Does it matter if the opposing team’s 7-8-9 hitters are up? Does it matter if Pat Neshek struck out the side in the eighth? Does it matter if Nathan just came from the hospital following the birth of his daughter? No, it doesn’t. He’s the closer. He gets The Save. But what if the Twins are up by four runs? Well, then all bets are off, aren’t they? And there is no particularly good reason for this. Historically, home baseball teams entering the 9th inning with a three run lead have won 98% of their games. And home baseball teams entering the 9th inning with a four run lead have won 98.8% of their games. So is Nathan brought into the game for that last .8%? Or is it because the goofy definition of The Save allows him to get one if there is a three run lead? It’s also led to some big changes off the field. Saves have become a commodity, one that is worth tens of millions of dollars. The Twins, a team that has recently developed closers from spare parts, joined that movement this spring when they signed Nathan for four years and $47 million dollars. If he averages about 70 innings per year for the next four years, that’s over $167,000 per inning. That’s much more per inning than the Mets will likely pay for Johan Santana. And that’s what drives some of the stats guys crazy about The Save. They view wins and losses as naturally correlating with how many runs a team creates and prevents. And a closer can only prevent so many runs when he only pitches 5% innings of the 1400-1500 innings that represent a baseball season. It’s a terrible allocation of resources to spend that much money on a fraction of those innings. But are all innings created equally? Doesn’t it make sense to have your best pitcher in those innings where they can complete a win? And shouldn’t that be worth something? Is there a way to measure that? And can I really justify a paragraph that consists of nothing more than five questions? The answers are: No, Yes, Yes, Yes and Yes, because it's my blog, dammit. And we're all irresponsible renegades. Ask Buzz Bissinger. The method for measuring that is called Win Probability Added, or WPA for short. WPA is how much a player improves the probability of their team winning a game based on historical results. It’s best explained using an example. Say the Twins enter the bottom of the ninth trailing by a run. Historically, MLB teams have only won roughly 19% of those games. If Joe Mauer leads off with a single, he improves the Twins chances of winning. Historically, teams have won 32% of those games, so Mauer earned 13 (32% - 19%) of WPA. If Justin Morneau follows with a home run, the chances of winning the game are now 100%, so Morneau gains 68 (100-32) WPA. It works on the other side, too. The closer who blows the save is charged negatively for all the WPA. When he came into the game, his team had an 82% chance of winning, and when he left, they had a 0% chance. So he’s charged -82 points. It’s an elegant little statistic that mirrors how we tend to think about games. There are games that “we were supposed to win” and games won “single-handedly.” WPA’s biggest weaknesses are that it doesn’t take into account defense and you really need computers to do the number crunching. Fortunately, the internet is filled with computers, and they’ve been crunching those WPA for the last several years. Any guess who leads the Twins in WPA over the last four years? And so, maybe The Save is not as overvalued as we might think. I won’t go as far as saying that something positive came out of the 70s, but I will recognize that maybe this is an example of us being able to learn something from a relative youngster. And I’m looking forward to the next debate of what a closer is really worth. It beats arguing with my right knee. "because a pitcher must pitch at least a half inning to get The Save"
Surely that's some kind of editing mistake. I know that you know that a pitcher can get a save by getting only the last out of the game. Actually, it is in the rule -- if a pitcher enters the game with a three or fewer run lead, he has to pitch a 'full inning' (which is really a half inning) to qualify for the save. So, bases empty, 3-0 lead; if Rincon enters for the first two outs, gets them without allowing a baserunner, and then Nathan comes in and gets the last out, neither man gets the save. If you come in with the tying or go-ahead run on base, at bat, or on deck and record at least one out, then you can get a save as well, but it's possible to enter a game where this situation doesn't apply, but the above situation does: specifically, Nathan's hypothetical one-batter appearance. With a three-run lead and the bases empty, the tying run isn't even on deck. With a two run lead or less, though, the 'single out' condition predominates, because even if the bases are empty, the on-deck batter will at minimum qualify as the tying run. Nice essay, John -- I hadn't really thought about the rise of the Save as being part of the reason that pitchers don't throw as many complete games anymore, but taking a look, I have to believe it's true. Think about what happens when a starter goes eight good innings but the ninth rolls around and it's a save situation -- the starter comes out unless he's got a shot at a perfect game, no-hitter, or shutout, and if the game is close enough, the manager sometimes won't even let the starter risk blowing the game to go for the shutout. Oddly enough, a manager will often let a starter go for the complete game if trailing -- it's not the closer's time, so there's less harm in letting the starter go for a statistical mark if he seems up for it. The data backs this up: in 1983, starting pitchers in MLB recorded 571 complete game victories. By 1989, before there was a lot of discussion of 'pitch counts', the number of complete game victories had dwindled below 400, and by 1992 it had fallen to 300. During the same time frame, complete game losses declined as well, but not as quickly -- from 172 in 1983 to 118 in 1989, but in 1992 there were 119 complete game losses in MLB, during the same time period in which complete game victories were declining by nearly a hundred per year. All kinds of complete games declined sharply after that, with the rise of pitch counts as the preferred method for determining when a pitcher should come out of the game. By 2007, the number of complete game victories and losses combined barely broke 100.
david witheiser said: "it's possible to enter a game where this situation doesn't apply, but the above situation does: specifically, Nathan's hypothetical one-batter appearance." Yeah, but he wasn't talking about that situation when he said a pitcher has to pitch a full inning to get a save...he was just stating it as an unconditional fact. He just said, "...nobody gets the Save if a different pitcher is brought into a game to get the last out (because a pitcher must pitch at least a half inning to get The Save)"
This isn't a big deal. You and I agree on the rule, David. I still think something got messed up in the editing of the post, though, because the half inning thing is just sitting out there on its own unconditionally. What, an article about the atrocities of the 1970s and no mention of the designated hitter? I'm pretty sure that the designated hitter is what purists would consider to be the biggest atrocity of the decade. Since the save didn't influence strategery for another decade, I'm going to lay that problem at the feet of 1980s. There does not appear to by any correlation between the creation of the save as a statistic and the rise of the closer which didn't happen until over a decade later. The number of complete games started to decline in the 70's, again before the one inning closer became a fashion. It is far more likely that the decline in complete games lead to the rise of the one inning closer, than the other way around. It certainly preceded it. And the issue is hardly just the closer. Most good teams have a setup guy who usually is in the game in the 8th inning when they are winning. And the rise of the five pitcher rotation has happened along with those other changes. I suspect they are all related. For whatever reasons, there has been a lot more emphasis on not overworking pitchers. Managers discovered that shorter pitching stints and more rest in between appearances create better results. That, of course, has nothing to do with the save statistic. And speaking of statistics. You can't use the results for teams that are all using a closer to determine the value of a closer. You have to compare the results to teams that don't use a closer. The win probabilities used here were all determined from teams that do use a closer. So they really tell you nothing about the value of doing so. I think the rise in pitcher salaries and the increased emphasis on pitch count have as much or more to do with the decline in complete games and the rise in saves as the save statistic itself. Also, there seems to be an unwritten rule nowadays that you don't let your starter take the loss when he's pitched really well, so if the batter representing the potential go-ahead runs comes to the plate in the ninth inning, then the closer is brought in to get the save. As for the slower decline in complete-game losses, that would be expected because most complete-game losses on the road are only eight innings.